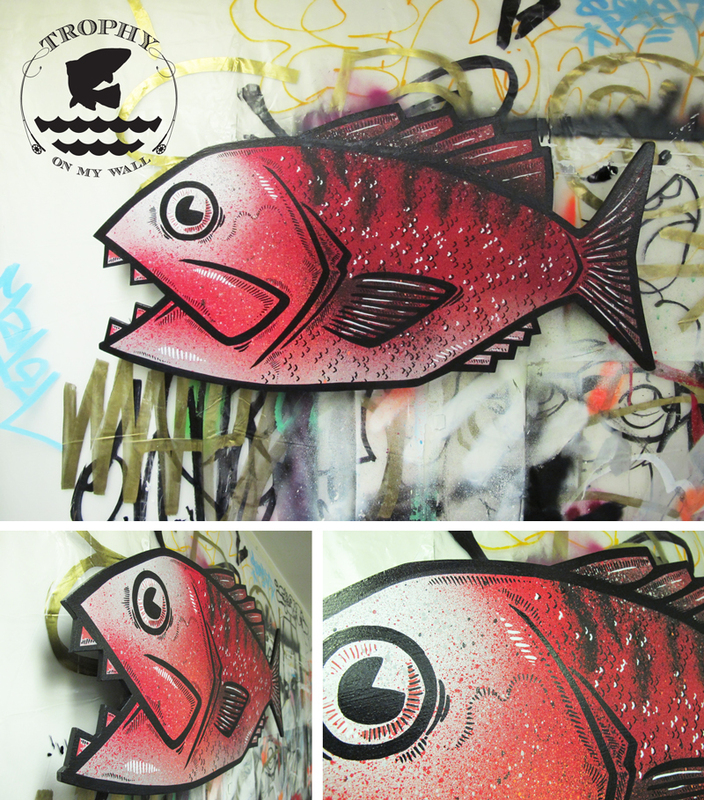 Here is my latest fish done for the Canadian Bacon exhibition that happened a couple weeks ago. Thanks to Martin Gravel for the support and congrats on his new purchase. Next stop, the SIDIM (Montreal Design Festival) where I will showcase a couple of fishes. This is a special order from my friend Jo Ellie for his tattoo studio Rouge Total. Based on the idea of a mean piranha, the first of a series of mutant fish, taking some features of the bass in order to create a one of a kind red mean fish. Mounted on wood blocks, 2 inches clearance from the wall, 30 inches x 15 inches, Mixed mediums on wood panel, 2015, sold.